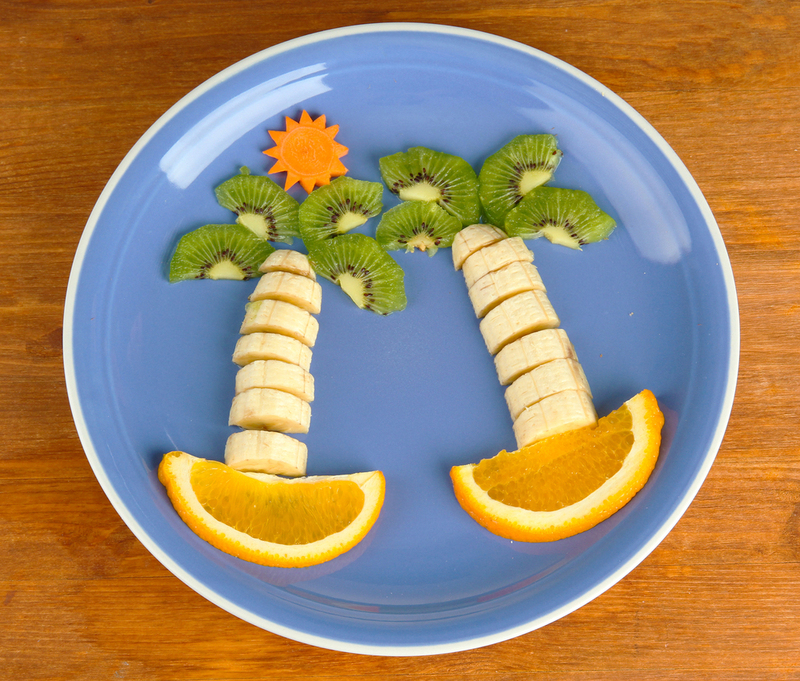 With EAF, there is no place for smiling pizzas, banana men (or women) or kiwi-topped palm trees. That's because EAF is about changing a child's notion that eating is something you want him to do. If your child's motivation to eat comes from you rather his own bodily signals, he can make decisions about whether to eat or not in order to get a particular reaction from you. He can use food as an emotional lever. Even though this might sound counter-intuitive, if you give your child any sort of attention for their picky eating, whether positive or negative, this will make it worse. Plating up 'fun' food is a form of attention, giving the message "I really want you to eat this". if you stay relaxed and let your child leave whatever they don't want to eat, he is more likely to develop good eating habits because there is no scope for a power struggle. Please note: to avoid gender stereotyping I alternate whether I refer to children as boys or girls, with each post.